Perennial. 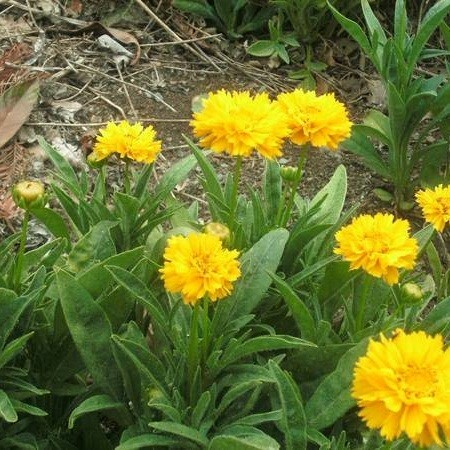 Coreopsis Grandiflora. USDA Hardiness Zone: 4-9. Bee plant. Butterfly plant. Hummingbird plant. Drought Tolerant. Deer Tolerant. Winner of Gold medals in America and Europe. Superb in the border and heat tolerant. 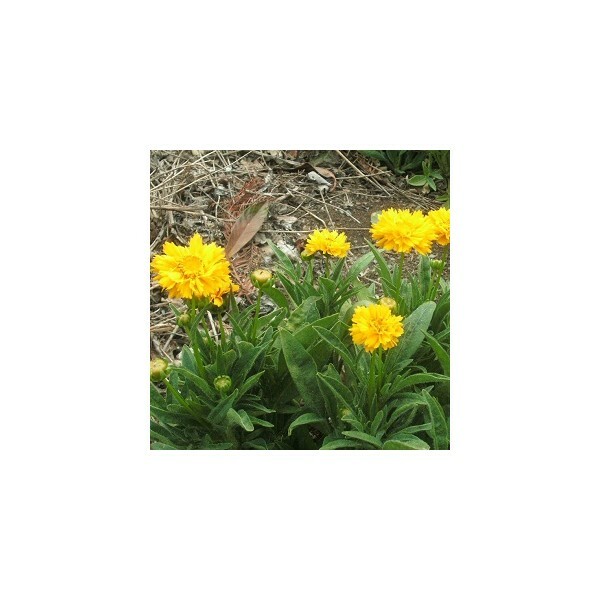 Golden yellow, semi-double flowers on 20" stems. Long blooming from early summer into fall. 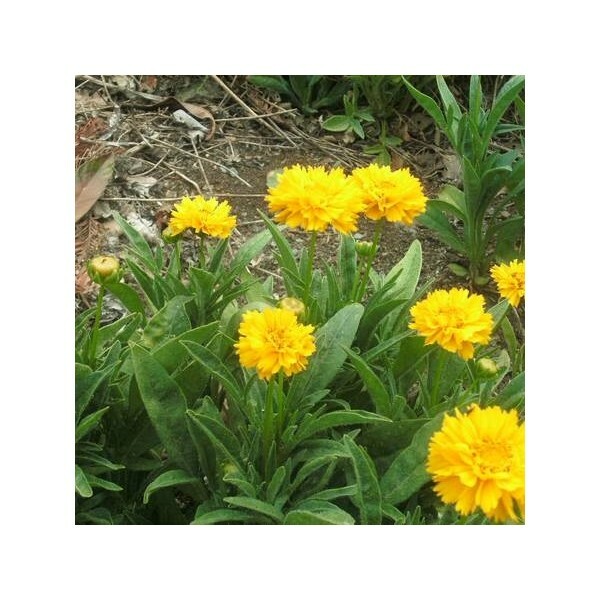 Coreopsis are easy to grow, neat compact plants. Prolific sunny yellow blooms are sure to catch your eye as you stroll through the garden.All-American Selections Award Winner 1989. Shipping with soil in zip lock bag with excess foliage trimmed to fit box. May take upto 4 weeks for the plants to be ready for shipping.